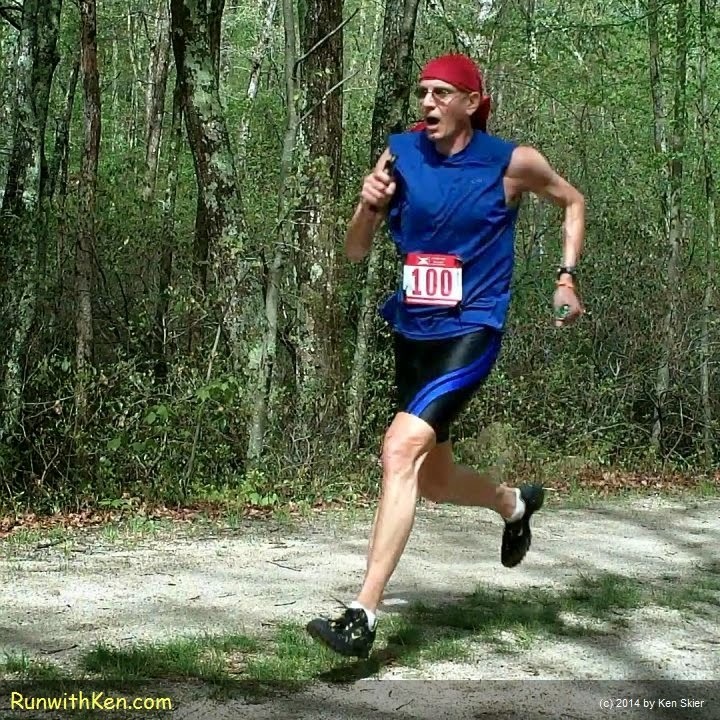 Trail Runner FLYING to the finish line--and an Age Group First! I haven't run a trail race since last July. I found I could barely see. Neurologists call it a scintillating scotoma. Half of what you see is just an illusion. I couldn't see where to step. And any misstep would make me tumble! All the way down the mountain. Haven't run a trail race since then. but gliding through the deep green forest! and my feet never touched the ground! for a great trail race!